Q: I upgraded my Mac to macOS 10.13 High Sierra and the menu bar disappeared from the application PDF Studio. Is there a fix planned for this problem? UPDATE: Apple has resolved the menu bar issue in the High Sierra 10.13.1 update. Make sure to update your Mac to the latest macOS version. A: The initial release of macOS 10.13 High Sierra has introduced a bug that affects the menu bars of Java applications. 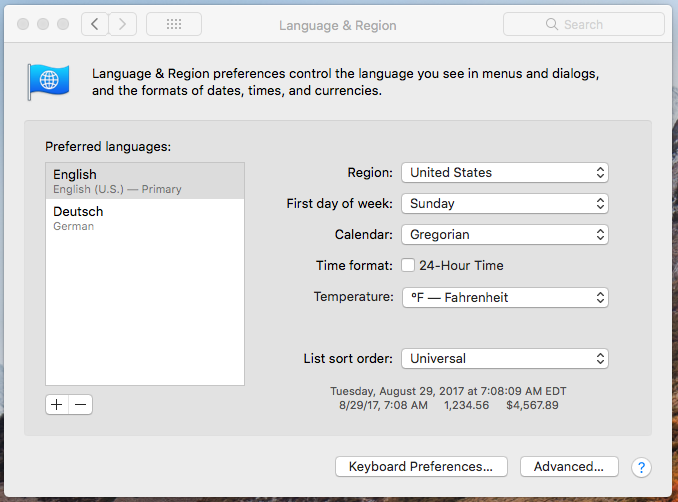 The issue is being caused by files that are missing in the High Sierra installation that are used to create the top menu in other languages than English. These are system files provided by the macOS that cannot be added/modified by applications or users. NOTE:This only affects users that have their operating system language (not the PDF Studio language setting) set to something else besides English. This issue is currently affecting all Java applications including: Eclipse, Android Studio, IntelliJ, Arduino, Rapid Miner, etc… Multiple reports have been submitted to Apple and we are trying determine a workaround that can bypass this setting to prevent the issue. In the meantime you can use one of the below TEMPORARY workarounds to continue using PDF Studio. 2. We have created a custom build that moves the menus to the window instead of the top bar. This will allow you to at least have the menu options available until Apple resolves this issue. If you have any further issues with the macOS High Sierra update please make sure to let us know by emailing us at studiosupport@qoppa.com. We will continue to try and find a more permanent solution for this issue and will release an official update once it has been resolved.